People have varying sensitivity to the active compounds in chili peppers, so what works for me may not necessarily work for you. 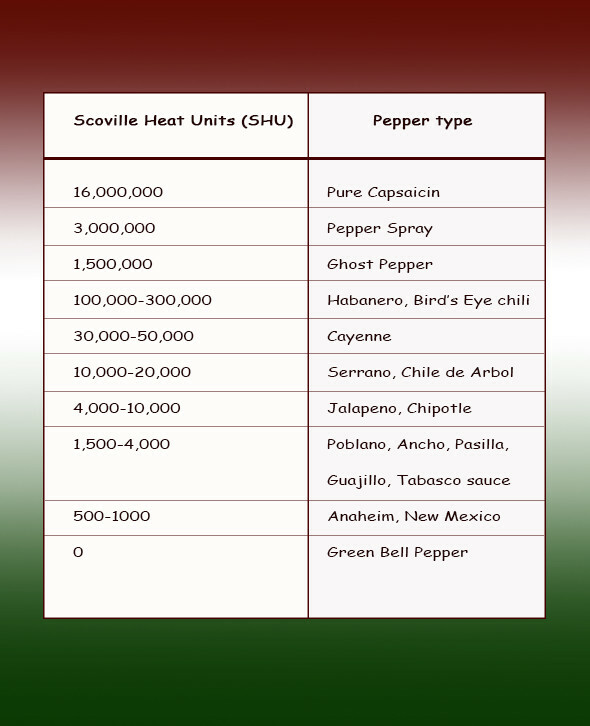 Please keep that in mind when working with hot peppers, especially if you have particularly sensitive skin. Capsaicin is the active component in chili peppers that gives them their distinctive heat or spiciness. The capsaicin concentration is highest in the pith and seeds of the pepper, that’s why you’ll frequently hear people recommend scraping out the seeds if you want a milder dish or salsa. More importantly, it’s the capsaicin that you need to be aware of when handling peppers. 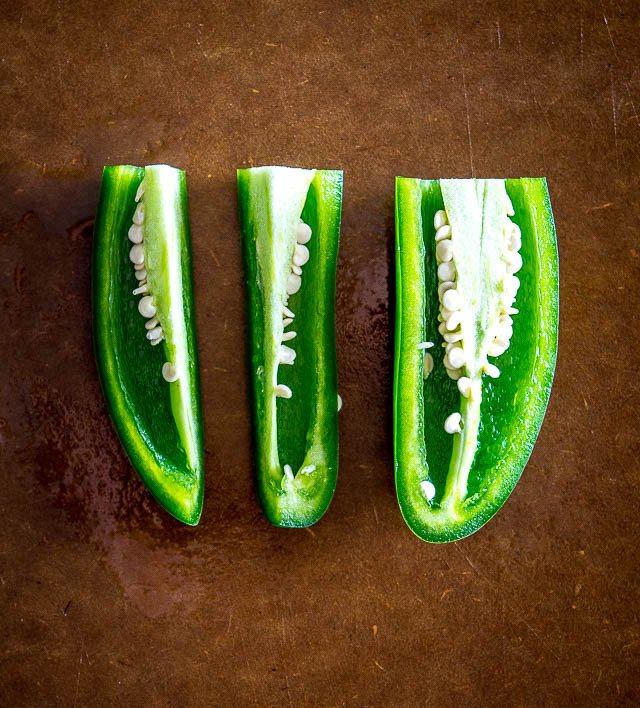 You won’t get much (or any) capsaicin on your hands if you’re holding a whole, uncut jalapeno. But once you cut it open that’s a different story! 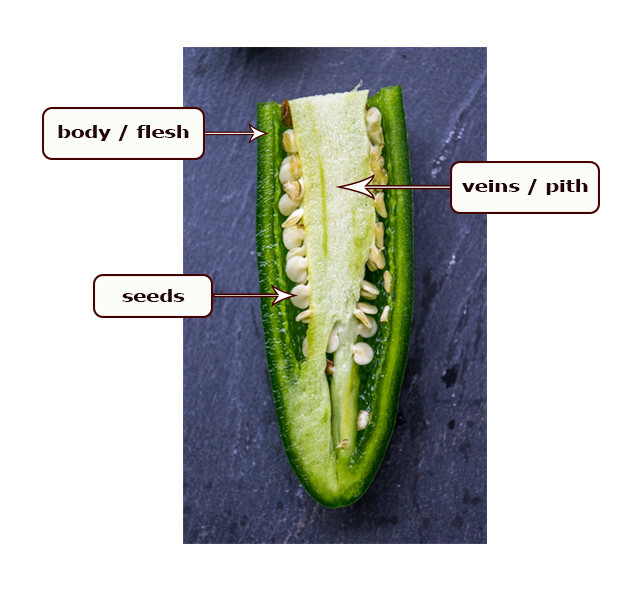 If you touch the seeds, or the pith, or even the flesh that’s been cut open, then you’re exposing your hands to capsaicin. Let’s talk about what this means for you and your hands! First of all, there’s a good chance you won’t feel a thing unless you have particularly sensitive skin. But if you have scrapes or open wounds on your hands then you’re going to feel a burning sensation. And if you touch your nose or eyes you’ll definitely get some unpleasant burning. That’s why people frequently recommend wearing gloves when you handle hot peppers, to avoid situations where it seems like your eyes are on fire! The alternative, and this is what I do, is to simply get in the habit of not touching anything while cutting open chili peppers and then wash your hands thoroughly when you’re done. It’s also worth giving your knife a rinse because it will have some capsaicin residue on it too. And if I have cuts or scrapes on my hands then I will put on a band-aid before handling chilis. That approach will work for the majority of people in the world. But keep in mind there are exceptions to this so it’s always best to use caution the first few times you are cutting open chili peppers. The chili peppers towards the top of the list (near pepper spray!) are the ones that require extra care. 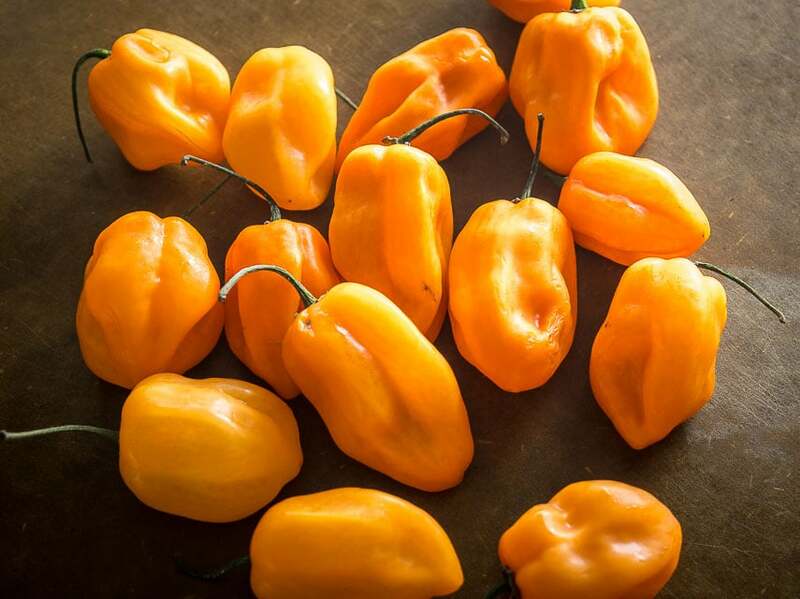 For example, habaneros are up towards the top of the list. We use those frequently on this site and I always recommend that people use extra caution when handling them. They are 20-30 times as hot as a jalapeno! In other words, their capsaicin concentration is significantly higher than jalapenos and it’s much easier to get higher doses on your hands. 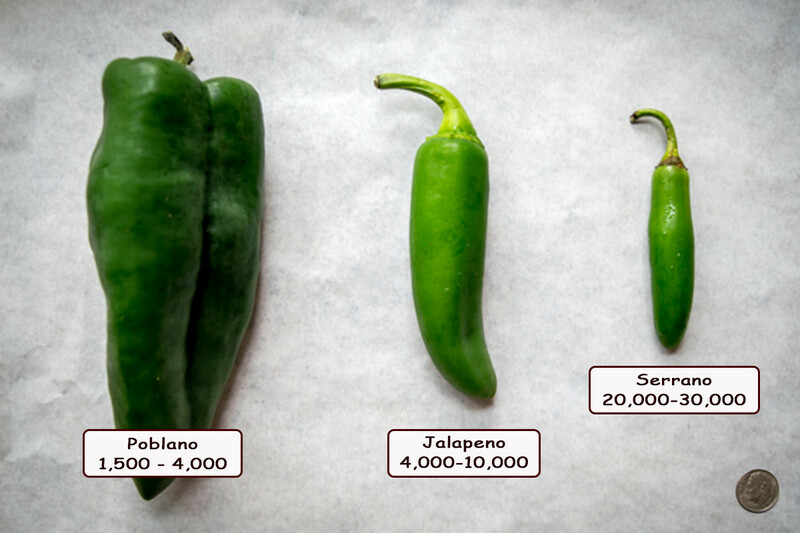 Note how mild the poblano is compared to jalapenos and serranos. 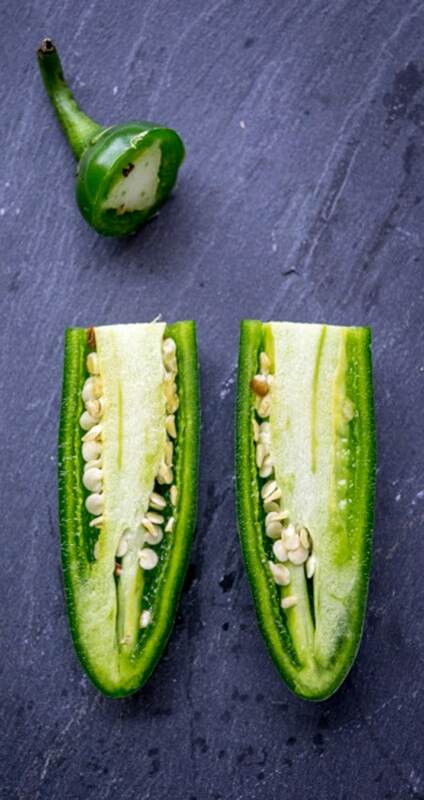 Even further down the scale from the poblano is an everyday green pepper that doesn’t even register on the Scoville scale — that’s why they don’t taste spicy, no capsaicin! I don’t wear gloves when handling chili peppers. I’m in the habit of not touching anything when handling them and I wash my hands (and knife) thoroughly after cutting them open. If I have cuts or open wounds on my hands I’ll put on a band-aid before cutting them open. And when handling particularly hot chili peppers like habaneros I will use extra caution and sometimes even give them their own cutting board in the kitchen. That approach works for me so feel free to take from it what works for you. I hope that helps a bit! How to handle hot chili peppers is one of the most common inquiries I get and I know people have some uncertainty about it when they are new to Mexican cuisine. But don’t sweat it! It just takes a couple tries to get used to them and after that you can move on to the good stuff, i.e. eating your homemade Mexican food! Feel free to get in touch if you have any questions about this. You can always use this page to send me an email.